In this paper, we compare four different Subspace Multiple Linear Regression methods for 3D face shape prediction from a single 2D intensity image. This problem is situated within the low observation-to-variable ratio context, where the sample covariance matrix is likely to be singular. Lately, efforts have been directed towards latent-variable based methods to estimate a regression operator while maximizing specific criteria between 2D and 3D face subspaces. Regularization methods, on the other hand, impose a regularizing term on the covariance matrix in order to ensure numerical stability and to improve the out-of-training error. We compare the performance of three latent-variable based and one regularization approach, namely, Principal Component Regression, Partial Least Squares, Canonical Correlation Analysis and Ridge Regression. We analyze the influence of the different latent variables as well as the regularizing parameters in the regression process. 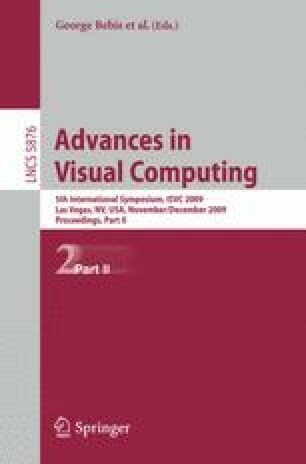 Similarly, we identify the strengths and weaknesses of both regularization and latent-variable approaches for the task of 3D face prediction.